Scott Noya practices in the fields of real estate, class action, tort litigation, public agency law, eminent domain, appellate, public contracts, and construction claims. Mr. Noya has over 30 years of litigation and trial experience covering a wide range of complex matters in federal, state and appellate courts in California and Hawaii. Mr. Noya has achieved the highest available rating for his litigation skills from the nationally recognized peer review organization, Martindale-Hubbell. 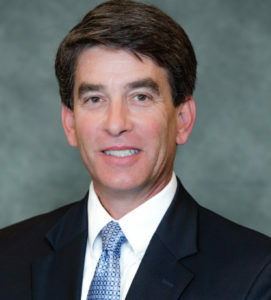 As a senior litigator, Mr. Noya has successfully tried numerous cases to verdict in quiet title and boundary disputes, government tort liability, eminent domain, inverse condemnation, construction and premises liability actions. Mr. Noya advises private, public and non-profit organizations throughout California. Mr. Noya’s real estate practice includes representing clients in property acquisition and development projects, public contracting, construction law claims, broker liability, due diligence investigations, HOA matters, lease negotiations and commercial transactions. Mr. Noya is also active in class action litigation, appellate matters, insurance defense, products liability, employment practices, wrongful termination, and wage/hour claims. Mr. Noya’s expertise includes representing the City of San Diego in land acquisition for the downtown San Diego Ballpark Redevelopment Project, a major redevelopment effort that brought Petco Park to San Diego’s East Village.